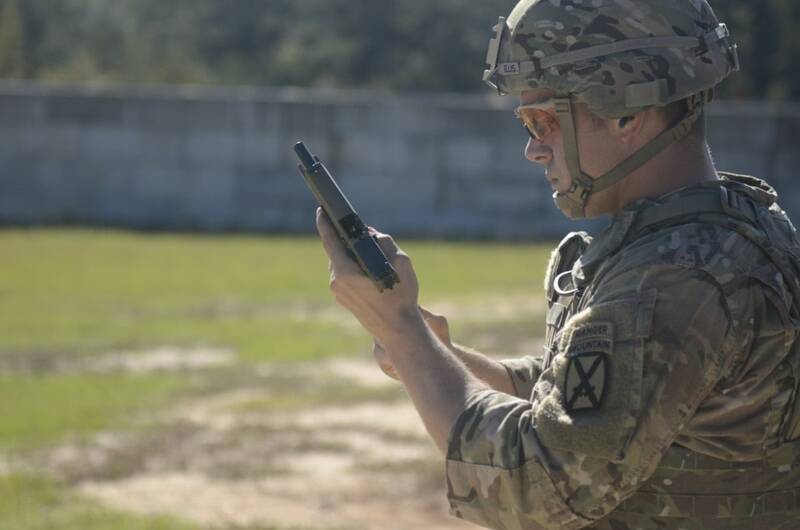 The more compact twin to the M17 Modular Handgun System recently exceeded the standard benchmark for testing in U.S. Army trials. 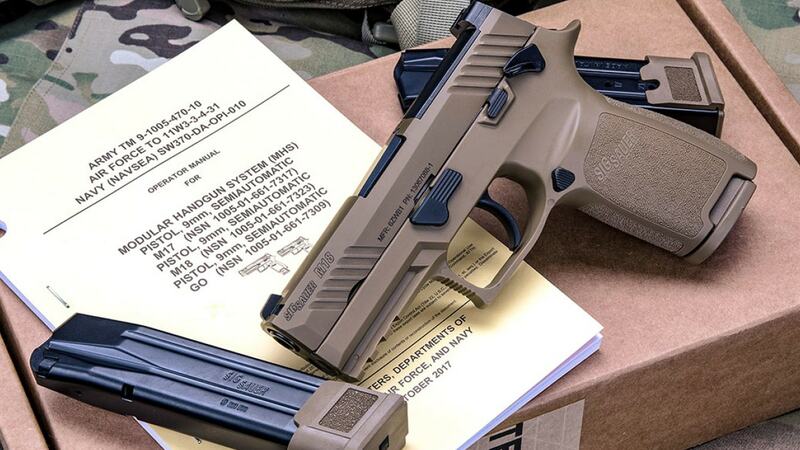 The M18, the smaller of the two variants of the Sig Sauer P320 adopted as part of the military’s 2017 MHS contract award to replace a host of legacy pistols, reportedly sailed through the recent Lot Acceptance Test conducted by the Army, according to the New Hampshire-based gun maker. While LAT tests allow for 12 stoppages in the course of 5000 rounds fired, three M18 used went to 12,000 rounds each, with no stoppages. The guns then went on to pass required interchangeability, material and accuracy tests. The MHS program, set to replace the M9 Beretta, which was adopted in the 1980s, is comprised of the M17 full-size and M18 compact variant 9 mm pistols. While the bulk of military users– about 95 percent– will be issued the larger of the two, individuals and units requiring a concealed weapon, such as overseas training teams and advisors, investigators, and special operations personnel, will use the M18. The military adopted the M1152 115-grain ball cartridge as well as the companion M1153 147-grain jacketed hollow point round for use in the pistols. The Army and SOCOM intend to buy up to 233,429 MHS series pistols while the Navy, Marine Corps, and Air Force may purchase as many as 224,000 combined pistols under the same contract. The Coast Guard has also moved to adopt the pistol to phase out the Sig P229R in .40 S&W. Sig currently markets three different commercial variants of the M17, with slight differences from the military’s pistol, in Commemorative, P320-M17, and P320-M17 Bravo models. In contrast, the company does not list a non-military M18 variant, although the P320 FDE Compact is similar.